BEIJING, Jan. 28 (Xinhua) -- China's homemade sci-fi blockbuster, The Wandering Earth, has amazed space scientists and engineers as the country is striving to make breakthroughs in space exploration. A special screening of the film was held in the Space City in northern Beijing Sunday night for spacecraft crew and developers before its premiere on Feb. 5, the first day of Chinese Lunar New Year. The film, adapted from Hugo Award winner Liu Cixin's novel of the same name, tells a story about how humans, threatened by a dying and swelling sun, erect gigantic engines to propel the planet out of the solar system, setting it on a centuries-long journey in search of a new sun. 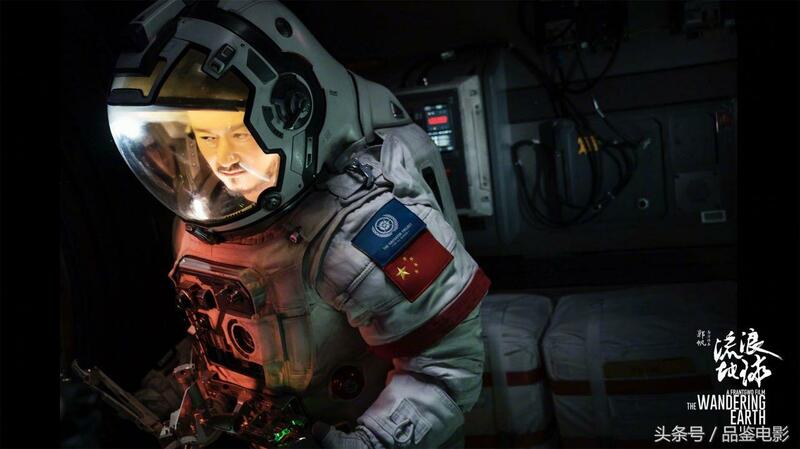 In the film, a Chinese astronaut working in an international space station joins hands with his son to save Earth from a collision with Jupiter. Chinese astronaut Chen Dong, who lifted off with the Shenzhou-11 spacecraft for a 33-day space mission in 2016, said he was thrilled after watching the film. "The astronaut in the film played a vital role in saving the mankind," Chen said. "His sacrifice touched my heart. If I happened to face a similar situation, I would definitely make the same decision," Chen said. "Astronauts are pioneers in our exploration into deep space, and I look forward to more films that can inspire our space missions," he said. Wang Yaping, a female astronaut who traveled for 15 days on the Shenzhou-10 spacecraft with two male crewmates in 2013, also took part in the screening. Liu Cixin, also executive producer of the film, was named as a "Space Culture Ambassador" by the China Satellite Launch & Tracking Control General Department after the screening. Liu was best known for his sci-fi triology, The Three-Body Problem. Liu said the sci-fi industry is a barometer of national strength, and sci-fi films need the backup of a strong economy that allows astronauts to turn fiction into reality. His view was echoed by the film's director Guo Fan, who said China's space exploration would inspire the shooting of more domestic sci-fi films. "If the box office is a success, we will have a sequel," said the 38-year-old director. The film will hit theaters in the United States, Australia and New Zealand on Feb. 8, according to Guo.